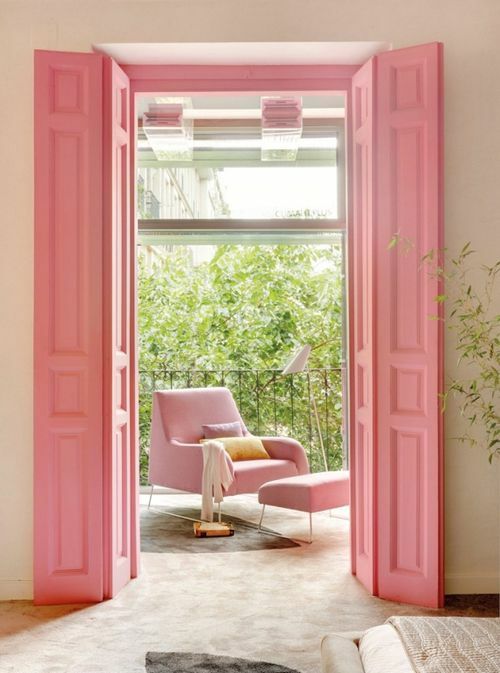 A few years back I noticed a trend, as we all did, in painted interior doors. Growing up I never paid any attention to interior decor let alone doors. It seems I can't get enough of them. Is it a trend? Is it here to stay? Has it been here all along, and I'm just noticing now? find yourself hesitating, try starting with your front door. Still doubting? Look at the image above. Would it have the same impact in white? 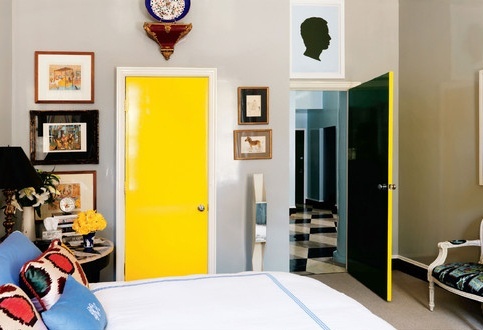 Here's a fearless use of color to make this room feel like your living in pop art. 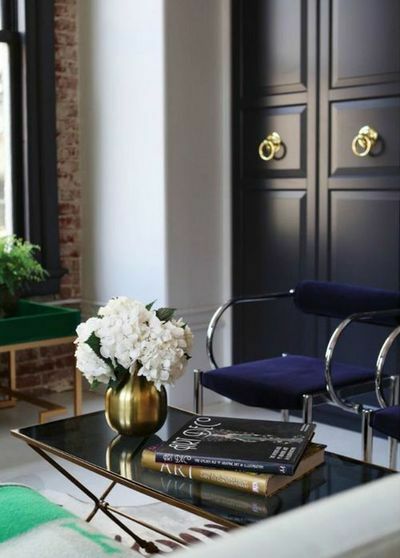 Black is painted on the interior doors in the hallway. It makes me wonder what's behind them. way to harsh. Instead I opted for a very, very, dark green/black. Sharon...I love your doors painted black...looks very chic!